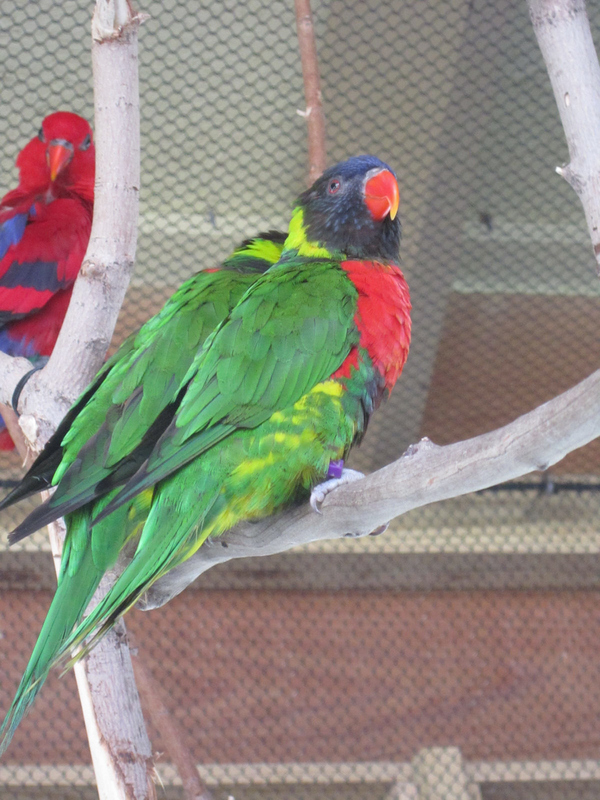 Indy Zoo Revue #4: The Birds II: Budgie & Lorie « Midlife Crisis Crossover! The A-list diva emerges from the crowd and allows you to bask in her presence. In June my wife and I took my mom for a walk around the premises of our own Indianapolis Zoo to check out the current residents and the architectural upgrades on a sunny but not-so-sweltering Saturday. In this very special miniseries, we’ll take a look at the beasts and critters who welcomed us and hundreds of other families along the way. 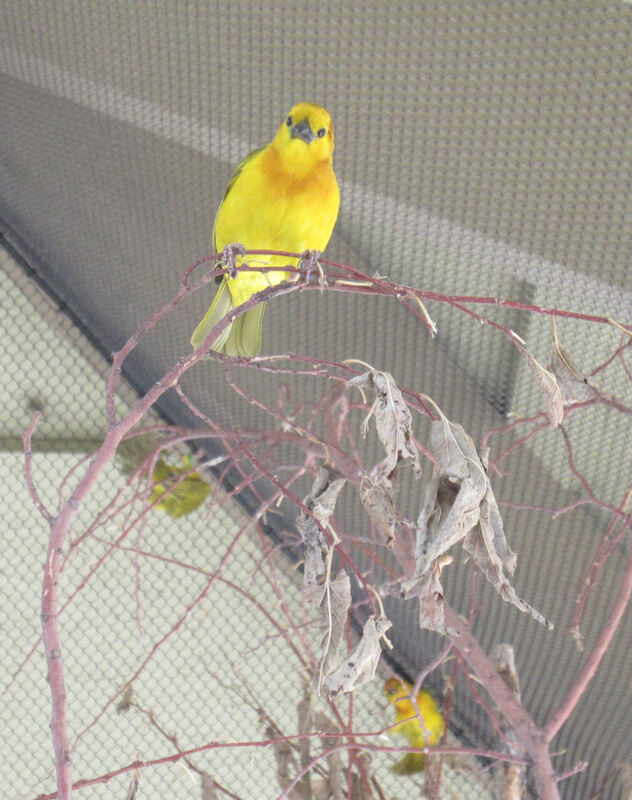 In today’s chapter: another batch of birds, this time focused in two interactive enclosures where visitors could get up close to the wildlife, feed them on a limited basis, and pray they don’t choose that day to rebel. 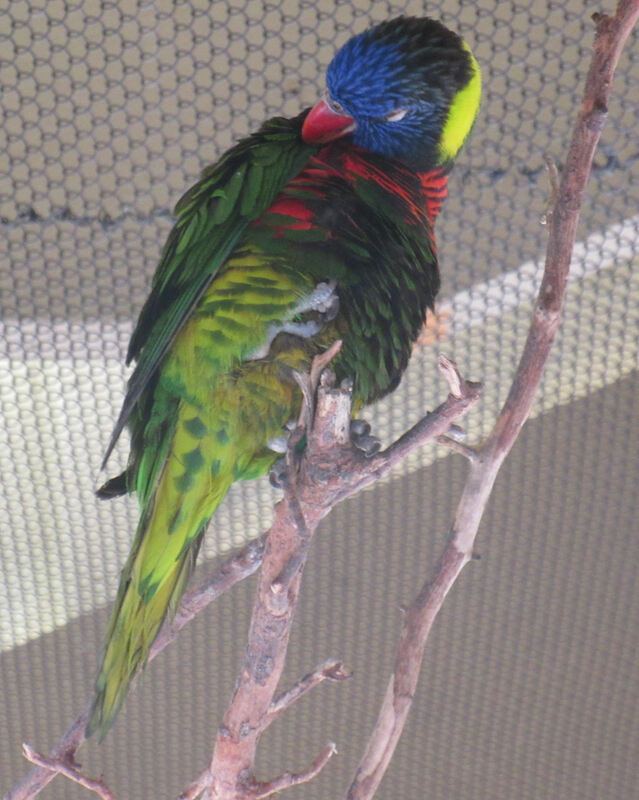 The first area was all about lories and lorikeets, though don’t ask me which was which. 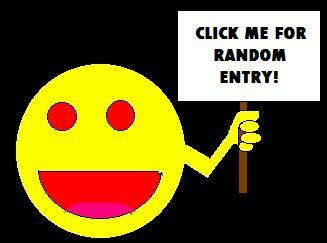 They preferred to pose for solo and duo photo ops rather than conforming to herd mentality. Leaving plenty of room for friends to join in. Group rates available. Feeding time is not a shared moment. 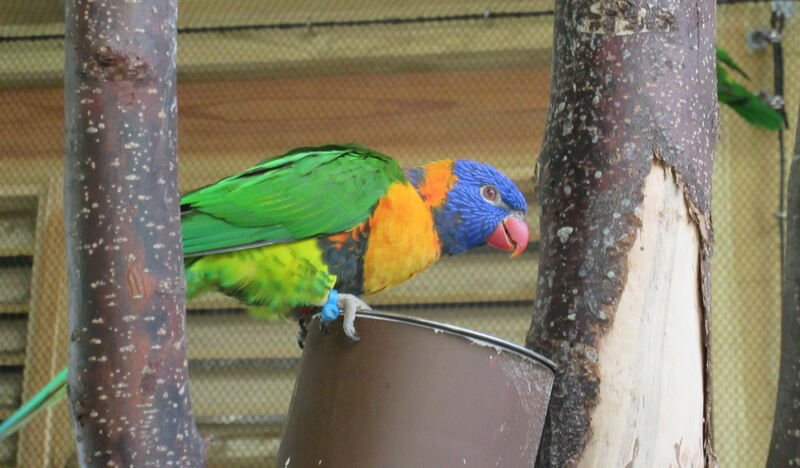 Occasionally lorikeets will photobomb each other for kicks. 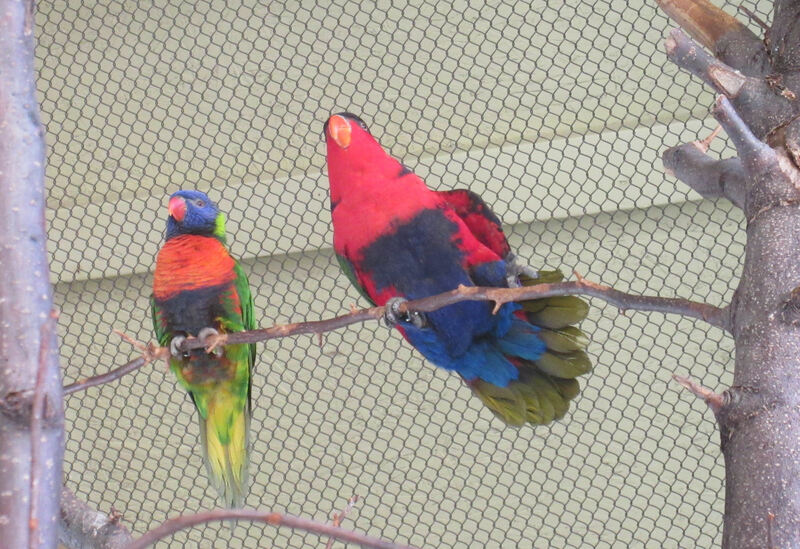 High above the fray, the kingdom’s answer to Statler and Waldorf judge us all. 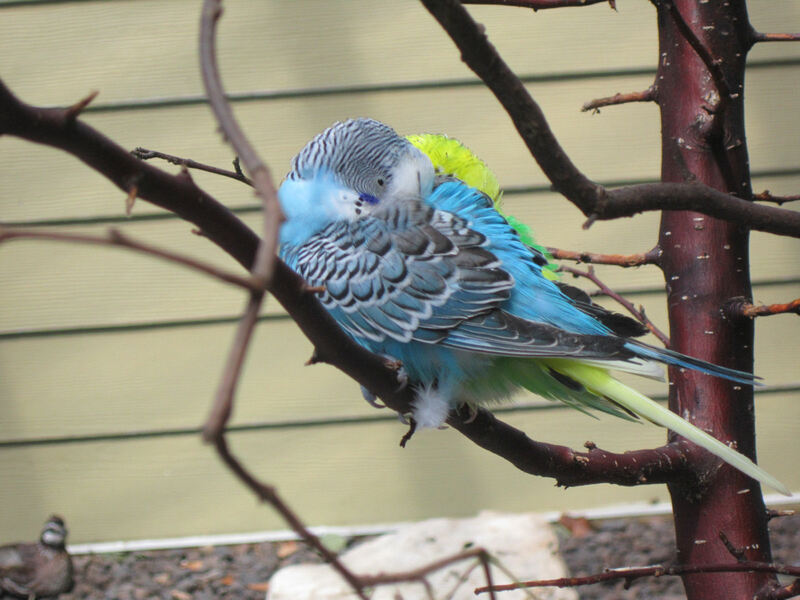 In the other matching enclosure, the budgerigar, a.k.a. 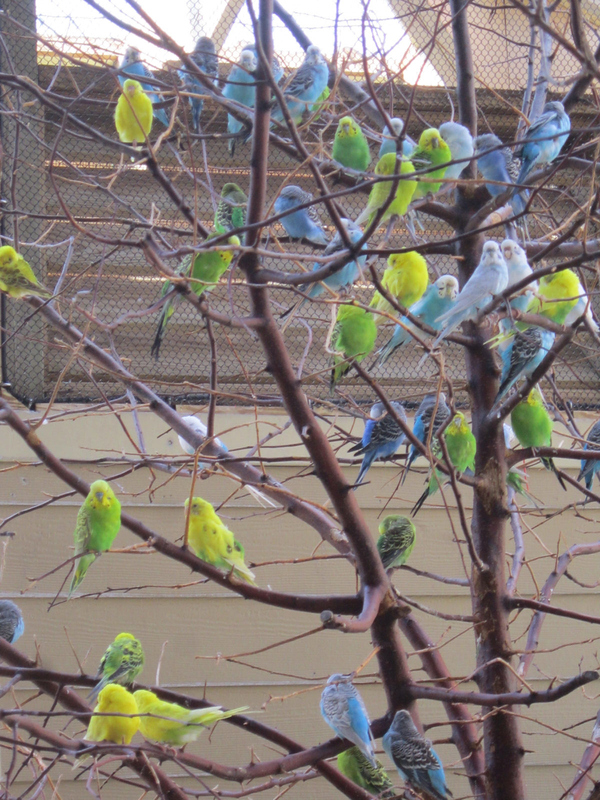 “budgies”, flock together by the zillions. 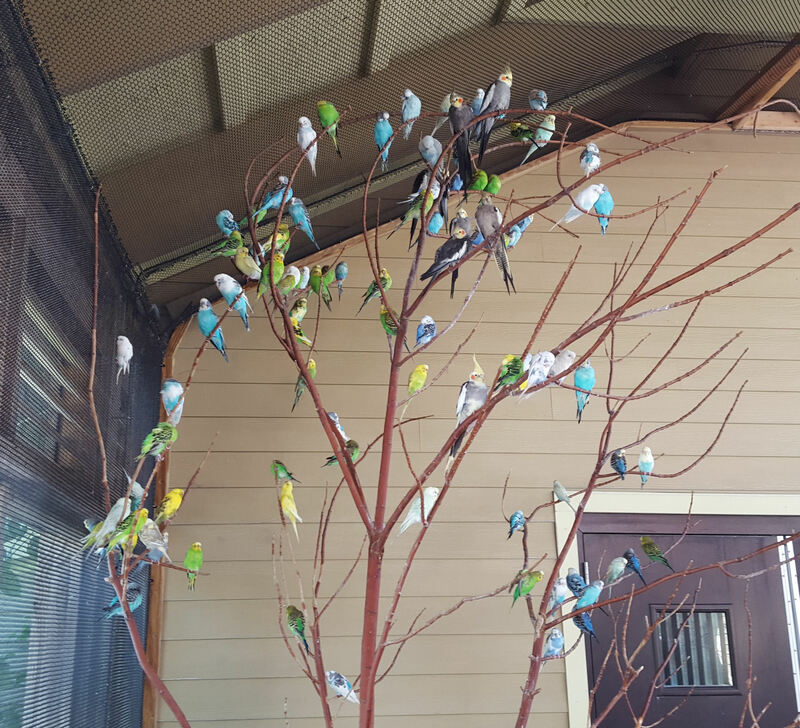 Budgies roll where Hitchcock would fear to tread. Aim pretty much anywhere into their crowd and make your own PC wallpaper. Or phone wallpaper, for that matter. 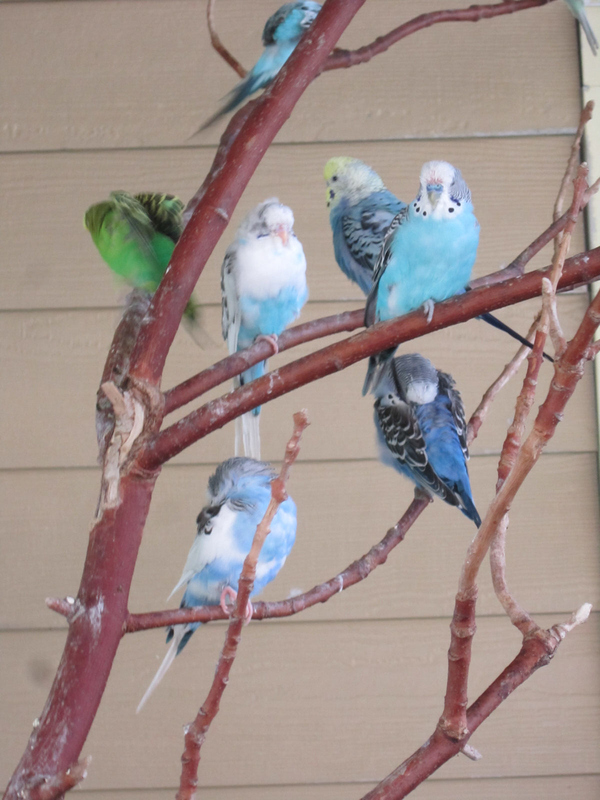 Some budgies would rather have their own room. Puzzle time for the kids! 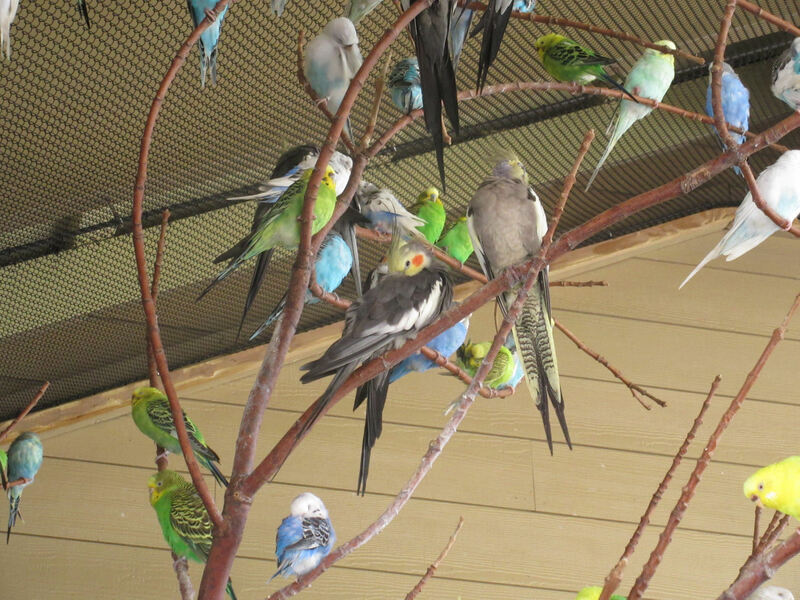 Can YOU spot which budgie is trying to blend in with the wrong clique? Part 1: Lions and Tigers and Bears!